Home Financial Tips Working abroad Working Abroad Could Be Financially Lucrative: Here's Why? Working Abroad Could Be Financially Lucrative: Here's Why? We can all be a little guilty of sticking with the same job for the foreseeable future because we can be a little overwhelmed of the prospect of doing something different. But, some people consider working abroad, and actually, it can be quite financially lucrative to do it. However, it can be big decision to make without having any kind of motivation to do it. So I thought I would share with you some of the ways working abroad, and living in a different country, could potentially mean you are more better off financially. Have you ever considered looking what your current job might earn you in another country? You could be surprised. Many countries offer a much higher pay packet for the same job than the country you are currently working in. Some jobs have less responsibility, some may have more, but the earning potential could be massive for the same skills and responsibilities that you have right now. Some companies in different countries will offer more opportunity to broaden your horizons when it comes to the skills you have and the experiences. But not only that, you could also gain experiences for working within a different culture. 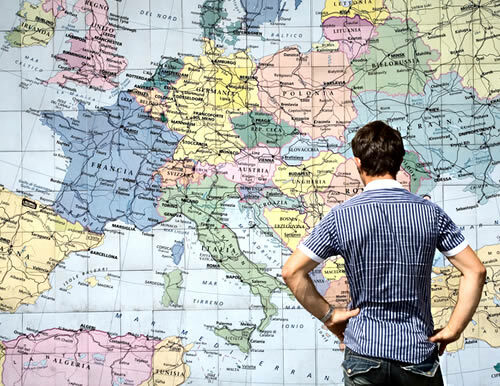 Investing just a little time into working in a different country could help you to obtain a better job with bigger prospects on your return to your home country. This could mean a better earning potential moving forward with your career. Often working in a different country means living there on a short-term basis. But this could move on to living there more permanently, which will help you to obtain residency and citizenship there. Having that in certain countries like India, for example, could mean that you can obtain a voluntary I'D like the eaadhar card that could help towards other aspects of documentation in the future. Living in a different country could be a great way to improve your lifestyle. On the subject of lifestyle, you may also find that the cost of living is dramatically reduced, which could help to improve the amount of disposable income you have left each month. More income, means more opportunities for things like vacations or investing. Finally, while considering investment, property tends to be the best way that could make profits with your income. This could be far more achievable when working in a different country. It might help that you earn more, to be more inclined to help you invest. Other things to consider would be savings options or stocks and shares. Thankfully, a little research on the internet could help you come up with ideas suitable for you. I hope this has made you more aware of how working abroad could help you financially.